I have a few friends who have been swearing by the use of essential oils for years. I always knew that they had a ton of uses, I just never bothered trying to learn what those uses were. 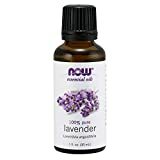 So, having the opportunity to try out Aviner Lavender Essential Oil has inspired me to start learning. One of my favorite uses is the helping with concentration, I’m excited to play with that one! Lord knows I need it! You can read an article about it and 9 other oils that help with concentration on Aviner’s blog. 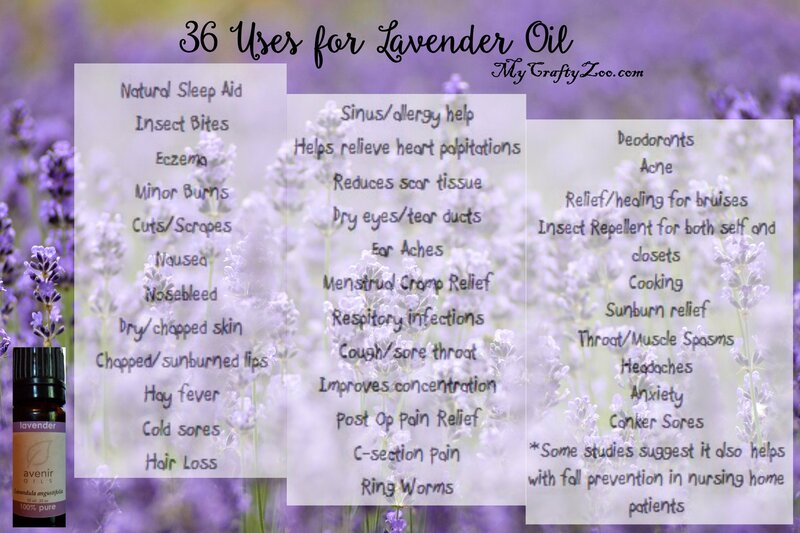 I had some lavender oil from a friend and had been using it for bug bits and to help with sleep. When I compared the two (the one I had from a large box store and the Avenir), I realized that the Avenir smells stronger and is more effective, which is interesting since both say that they are 100% pure. The Avenir, however, also says it’s 100% pure. That seems to be the only obvious difference, but the subtle difference in smell is also noticeable. Overall, I really am loving the lavender oil from Aviner!!! Thier prices are quite reasonable and their selection is outstanding! Please note that I received this product in exchange for a review and my honest opinion. My Crafty Zoo with never misrepresent their feelings on any product, promotional or otherwise. Anything I missed? What’s your favorite?